This may be obvious to connoisseurs of Italian cinema, but C'eravamo tanto amati (We All Loved Each Other So Much) is really great - who knew! We got it for Christmas, threw it into our Pile O' DVDs, found it months later (today), assumed it was some old school tearjerker and put it in - and what a surprise we got! This was fresh, quirky, self-deprecating, inventive, silly, sweet and intelligent. And many other descriptive words. We loved it! Stefania Sandrelli and Vittorio Gassman dumping poor ol' Nino Manfredi. Don't worry, Nino, the PPCC will protect and love you. We at the PPCC, for however much we like Italian films, are really philistines regarding them: we have little sense of history or significance, and only nominally recognize things like neorealismo. We just haven't watched enough Italian cinema critically to make the broad generalizations we're so comfortable making in our Hindi film reviews. But after a film like this one and the recently PPCCed La meglio gioventù, we can only say, Mamma mia, ancora! That's-a one-a SPICY MOVIE! We need-a some-a MORE, please! We want to learn more! C'eravamo tanto amati - from our uneducated, dominantly Hollywood/Bollywood perspective - was fabulously bizarre. Breaks in the fourth wall, characters addressing the camera and communicating via "internal" spoken monologues, repeated scenes, and an irreverent sense of humor that doesn't even let the attempted suicide of one of the characters make things too grim. That's not to say this film doesn't have heart - it has a sweet, earnest vibe that forgives humans, warts and all, and highlights the ridiculous surreality of our self-made dramas. "Should I take off my braces?" she asks. His reply: "Uhm... no." Antonio (Nino Manfredi), Gianni (Vittorio Gassman), and Nicola (Stefano Satta Flores) are old war buddies, former partigiani - AKA guerrilla fighters in the anti-Nazi resistance in Italy during World War II. After the war, during the notoriously hard times of the 1950s, they each struggle to get by. Antonio, an easygoing working class Roman, is a male nurse. One day, he meets and falls in love with the gorgeous, northern Luciana (Stefania Sandrelli). But as soon as he introduces Luciana to his debonair friend, Gianni, he loses her to him. Then she loses Gianni when the latter meanders away, inadvertently becoming trapped by a family of rich, former Fascist "padroni" (owners) and their well-meaning, ignorant daughter Elide (Giovanna Ralli). Once this happens, Luciana quickly moves onto the intellectual, self-aggrandizing Nicola. And so on. For a film about heartbreak, economic strife and war, it's awfully upbeat. Antonio especially has a particularly self-deprecating wit, often summarizing difficult and complex tragedies with a single, dry Romanism. "Boh," he says at the film's conclusion. "What does that mean?!" the over-articulate Nicola demands, fuming. It just means - boh. Whatever. In the face of the ridiculousness of life, Antonio's response - a resigned shrug - seems to be the most sensible. And the film itself is like one big Antonio too - teasing itself and the fashionable Italian cinema which preceded it. This film - which, according to a "citation needed" Wikipedia entry, is the most influential of the commedia all'italiana films - is indeed much more like the later, bizarre tragicomedies of Lina Wertmuller and Giancarlo Giannini. It feels like a conscious break from the dreary gloom of Italian movies from the 1950s and 1960s. There's a running joke throughout the film that only the self-important Nicola fully appreciates Ladri di biciclette (The Bicycle Thieves), a film now renowned as being the Italian neorealist film (after La dolce vita, maybe). 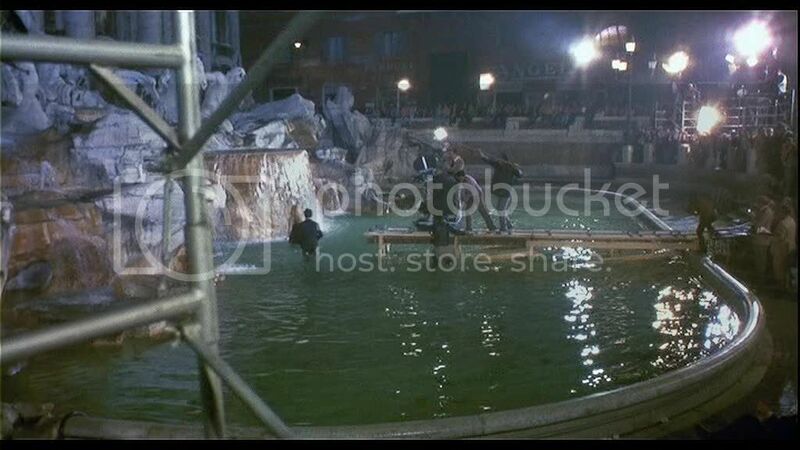 Speaking of La dolce vita, there's also a wonderfully bizarre and self-referential sequence when Antonio and Luciana stumble upon the filming of the famous Trevi Fountain scene (complete with great cameos by Federico Fellini and Marcello Mastroianni). It's a film making fun of other films! Federico Fellini and Marcello Mastroianni playing themselves. Apart from the fun, lively narrative, we also fell in love with the four principal characters - who were uniformly bumbling and ridiculous. Nino Manfredi was especially lovable as the kindhearted Antonio. There's a very sweet scene when Antonio bumps into Luciana many years after their initial break-up. He notices a little boy hovering around her and, becoming increasingly distracted by the boy and Luciana's hands twirling the boy's hat, he eventually stammers, "Wait, excuse me, is he... is he...?" She nods with a smile. Antonio extends his hand to the boy, "My name is Antonio. What's your name?" Antonio turns back to Luciana, voice wavering and eyes tearful, "You named him after my mother's uncle!" Antonio and Luciana, the early days. Oh yeah! Mike Bongiorno also makes a cameo, huzzah! We want to be the next Mike Bongiorno. We can't really find any criticism for this film. We enjoyed every minute of it. This was right up our alley, and we were delighted and captivated. If you too like mildly weird and silly humanistic tragicomedies, this one's a real treat. I'm sad there are no comments on this post, but I don't know a thing about Italian cinema. I do like slightly weird and and silly and humanistic, though! D'oh! I'm a little bit ashamed to say this, but I didn't see this movie yet! The funny thing is that the phrase "C'eravamo tanto amati", after the release of this movie, entered in our common language! Just like the title "Pensavo fosse un amore e invece era un calesse" (http://www.imdb.com/title/tt0105120/)!! So everybody quote them sometimes, even if they don't know them at all! The Mormons are responsible for bringing us humanist comedies? KYA?!?!? My word verification is "lecroc." So I guess that means you should do a French film about tropical reptiles next. Never a fan of Italian films, the only two I have seen are Life is Beautiful (good for one time vewing) and Mediterrano (again good for single viewing). Somehow I never got to them despite everyone and I mean everyone I know who likes cinema recommending Antonioni's La Ventura. I like your reviews so I may even decide to watch La Dolce Vita which is in the to watch pile ever since I purchased it on impulse. I wonder whether you have seen any Bunuel films - I have seen three of them and loved them. 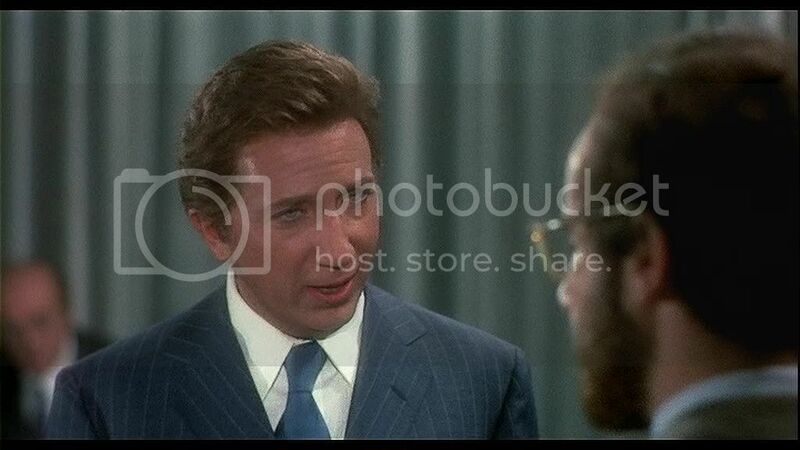 I highly recommend The Discreet Charm of the Bourgoise if you haven't seen it. A movie making fun of other movies? Count me in. I for one am very happy to see you wade through your Italian DVDs, coz I need to see more Italian movies and now I have a list thanks to you. kallista85 - Guardalo! It's so nice. I am in love with Nino Manfredi now. And interesting pop culture tidbit re: the titles' seeping into modern language! Beth - Apparently! But apparently they didn't do a v. good job with the subtitles. French le croc! I've been DYING to see those Mathieu Amalric films he made pre-James Bond, maybe I'll get serious about ordering a DVD. eliza bennet - La Dolce Vita is great - though it puts you through the wringer, both in length (3 hours) and content (the WOE). Haven't seen any Bunuel, but am always open to new filmmakers! Amrita - I LOVED this one; I wish it was more widely available. And more Italian films on the way! C'eravamo Tanto Amati is wonderful is both its tragedy and its levity. The cast, the music, the locations, everything works. 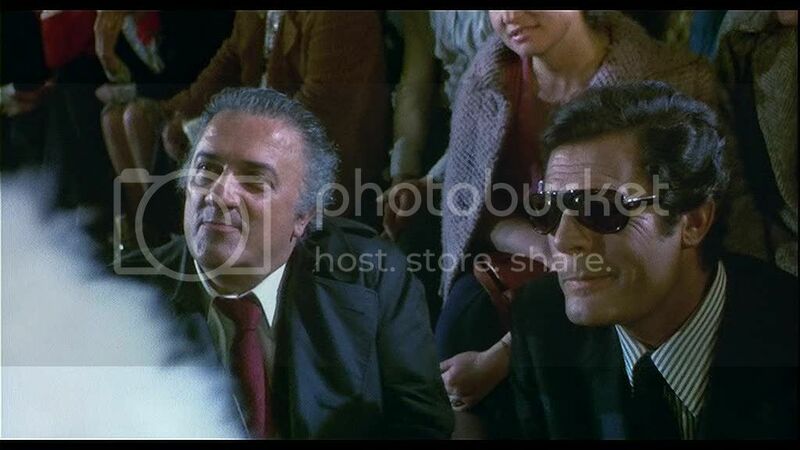 I am biased since Nino Manfredi is one of my favorite Italian actors. I think many people shy away from this movie and others of the late 60s and early 70s because the term "neorealism" was thrown around a lot and that usually translates for people as "simultaneously and intensely boring and confusing". Eliza -- Antonioni's film isn't La Ventura, but L'Avventura and is one of a trio of films, along with L'eclisse, and La Notte. My personal advice on Antonioni is to skip those three and just watch Deserto Rosso (Red Desert) over and over, because it is infinitely watchable and Monica Vitti is perfect in it. Just like Leonor, I saw this in my teens, and it very much impressed me. Rewatching it after some 20+ years was a joy, all the magic is still there. Hi! I was going to publish on my blog a post about "C'eravamo tanto amati" and looking for some nice pics... i found your blog! I'm an italian student, editor and assistant director and i'm very glad that you and your friends appreciated this film... it's a favourite of mine! I saw the director, Scola, once upon a year that told us some fun stories! If you want to look at my blog sometimes i'd be honoured (sorry for my poor english! 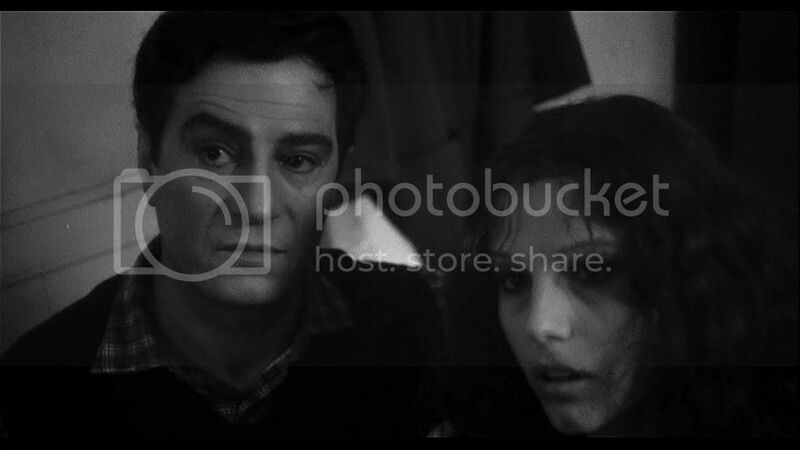 ), it's a blog about cine, it's in italian language (i swear that i had many doubts if choose english language and now i see that it wouldn't have been a bad idea...) but you can find there some italian films sometimes or ask me for that!